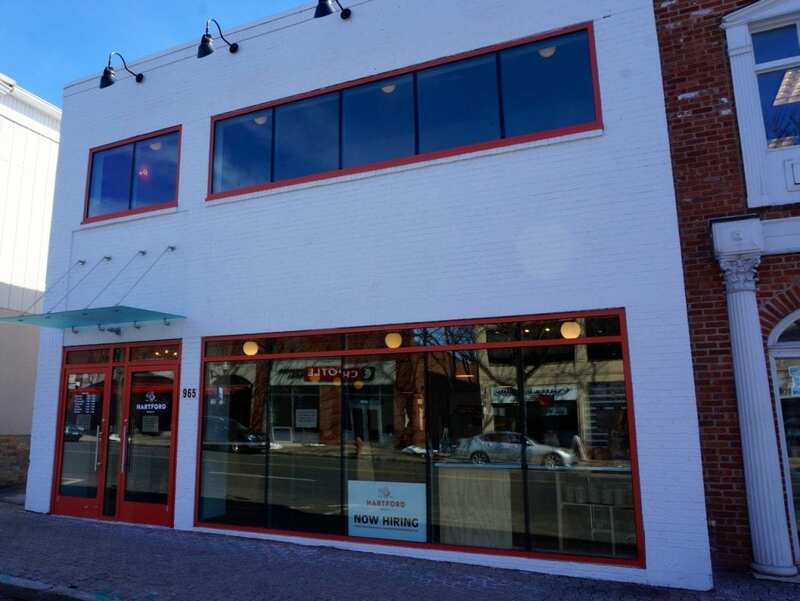 So, if you're a native to Hartford/WeHa, you might know of a little place called Hartford Baking Co., but did you know that they've opened their second location in the heart (or the "hart" I should say) of West Hartford's downtown? Right on Farmington Ave, across from Chipotle and Ichiro, is a little bakery/cafe calling Hartford Baking Co. and honesty it's amazing. Their avocado toast is to die for and the coffee is fresh. Their bakery section has a new thing in it everyday (if you go on Saturday, peacan cinnamon rolls are to die for, but they're only available Saturdays!) The line is usually pretty long -- it moves fast -- but it's worth it. On their website, they describe their story as: "Back in 2010, we started with one baker, four baristas, and a mission – to give our hometown a great bakery, and make the greatest products we possibly could. We wanted to attach Hartford’s name to something superlative and create something the community would be proud of. A few years later, with a good dose of hard work and a little luck, we’ve grown to over 30 employees and deliver to restaurants and grocery stores in all corners of the state." Everything is made right there, it's fresh, delicious, and a great alternative to Mather. Since there's only a little bit of time left at school, get out to Hartford Baking Co and please try the avo toast. Is drinking apple cider vinegar actually good for you?